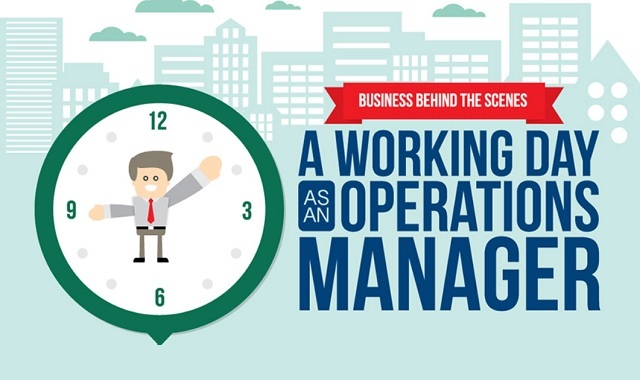 A Working Day As An Operations Manager #infographic ~ Visualistan '+g+"
As an online MBA programs seeker, you can appreciate the importance of operations management to a company’s overall success. After all, at the heart of every business is a person or team tasked with keeping everything running smoothly, from coordinating between various departments to ensuring production goals are met. To understand why this role is truly so vital, see the daily responsibilities of the operations manager below.